Please follow the steps below to use the coupon code you have prepared for agencies. Please click My Property / Promotions from the upper menu of HotelRunner. Determine a title for the coupon code promotion you want to create, select the Coupon code as promotion type and then click the Create button. 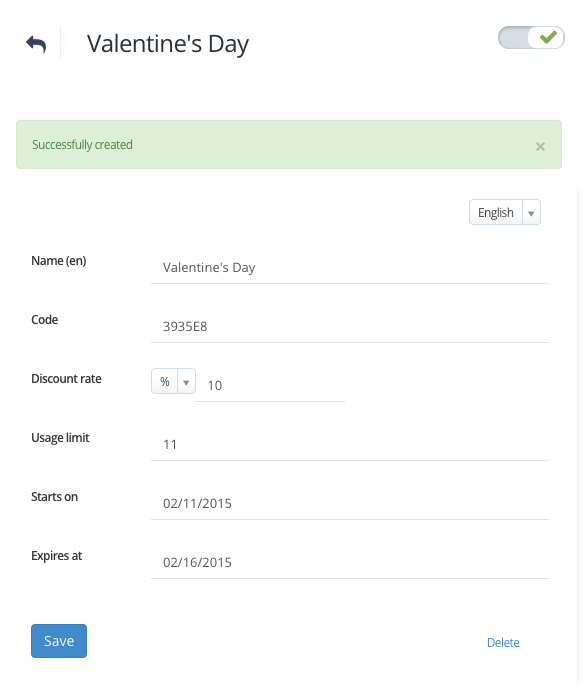 From the dropdown menu, please determine your discount rate, usage limit (how many people can use this code), beginning and ending dates, and confirm it from the upper right corner and then click Save. Share with agencies the coupon code you have created. As part of your free HotelRunner account, you are entitled to adding one coupon code. 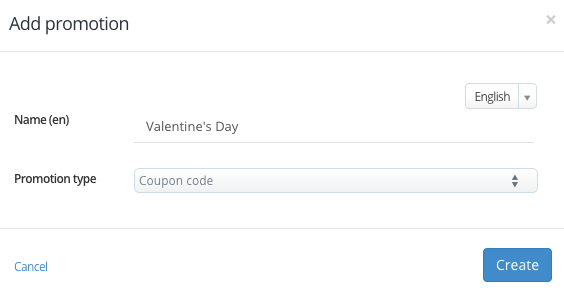 If you would like to create more coupon codes for various offers, you must subscribe to “Booking Button – Coupon Codes”. Please visit HotelRunner Store now to get your subscription.